Targeting the on-the-go coffee-house market. 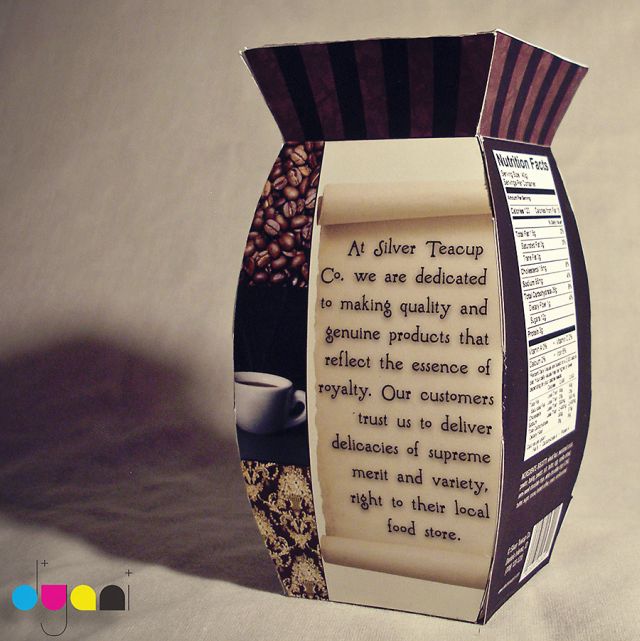 Inspiration for the color scheme, fonts, and patterns derived from rich and luxurious coffee houses. The shape hints at femininity and a regal posture. The drawer that folds out at the bottom, along with the dip reservoir at the top, make this gourmet snack appealingly easy and fun to eat. 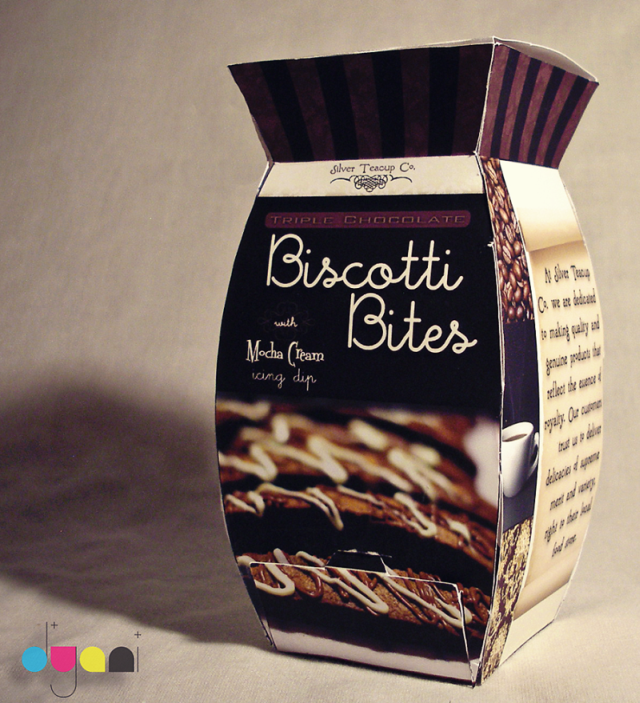 The fold-out drawer at the bottom gives access to bite-sized biscotti. The company information on the left side of the package. 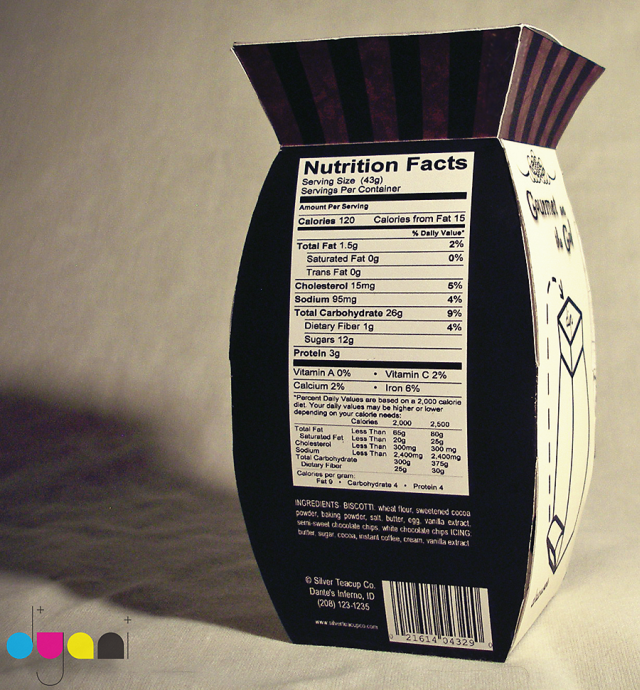 Nutrition facts and ingredients on the back. 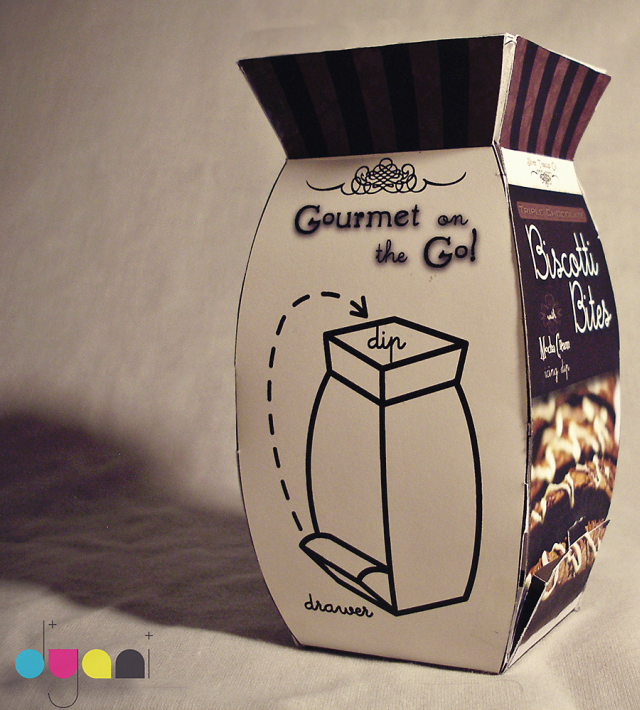 The instructional diagram on the right side of the package is easy to understand while also being pleasing to the eye. 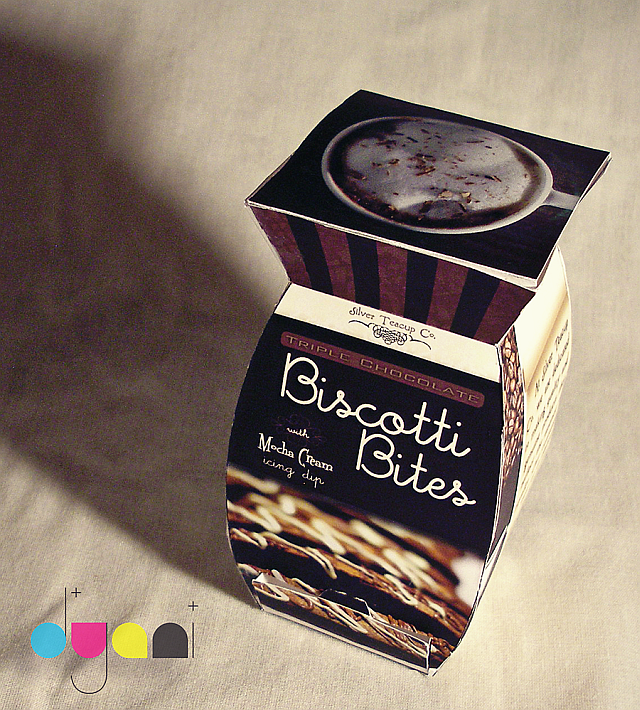 The cup of coffee from a top-down view connects the idea of dipping biscotti in coffee with dipping the biscotti bites into the icing dip held in the top of the package, further clarifying the use of the package design.